The Aryacool drycooler performs at the highest level of efficiency for a temperature differential between the environment and the cooling water of up to 5 degrees. 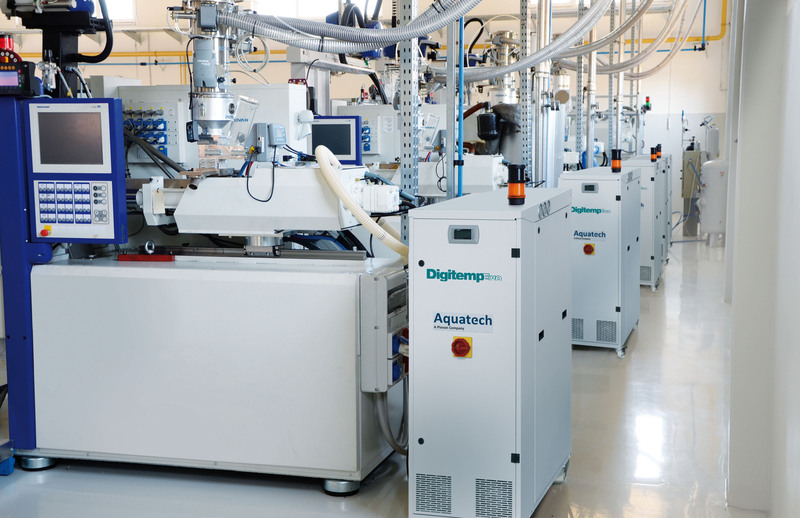 The temperature of the water cooled by Aryacool can be, in some circumstances, higher than 5 degrees above the ambient temperature, but this condition is sporadic and occurs when extraordinary ambient temperatures are reached. 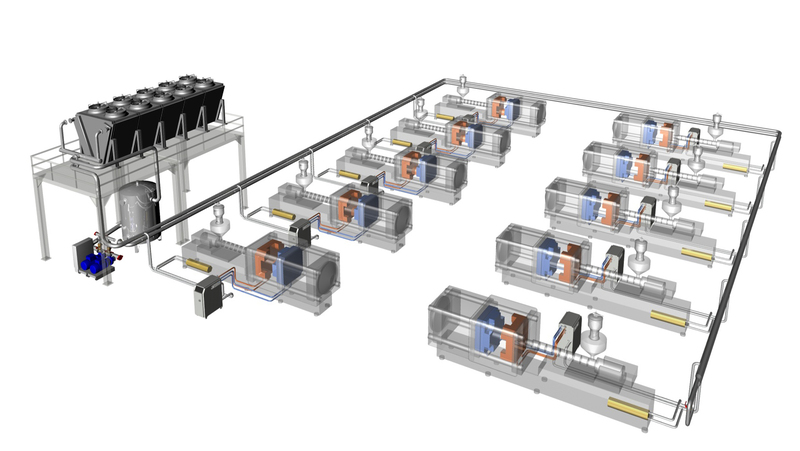 On the other hand, a traditional dry cooler is sized for a temperature differential of 10 degrees, not 5, cutting in half the efficiency of operation. Aryacool in short guarantees much greater energy efficiency, which allows for a rapid return on the investment. 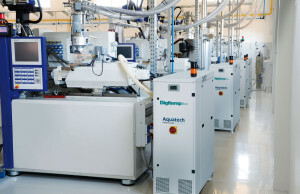 The DigitempEvo thermochiller controls flow and pressure of the cooling water, with additional capability of simultaneously control two different temperatures, for two separate circuits, that can be adjusted between 5 and 90° C. Normally, a mould is composed of a fixed part and a moving one, which require two different temperatures. DigitempEvo manages these temperatures using a single device, as any unit of the DigitempEvo line is equipped two circuits, two pumps and two temperature controllers. Aryacool comes in two versions: adiabatic and self-draining. In the first, a series of sprayers nebulize water on evaporative panels, so to work at ambient temperatures that exceed 35 degrees; this solution uses the wet bulb temperature of the air and allows cooling water to be produced at a temperature below the ambient temperature (dry bulb). It is an effective and efficient system: the evaporative panels have a honeycomb structure. The water that is spayed of the panels cools, by evaporation, the water that circulates in the cooling coils. The draining solution is indicated for cold climates, because, when not in operation, the system will drain automatically without the use of antifreeze and without water leakage, with the water being transferred to indoor storage tanks, maintaining the integrity of the components. Antifreeze would reduce the ability to exchange temperature and would require control procedures for its disposal.